Ferodo racing brake pads are designed for low- and high-speed braking efficiency, reduced stopping distances and the consistent brake pedal feel that racing riders need — first time, every time. Ferodo’s DS2500 racing brake pads represent a new generation of friction material that’s low in compressibility, ensuring a firm pedal while providing great disc and pad life. The Pumaspeed Workshop team are ready to fit the Ferodo Racing DS2500 Rear Pad Set - Focus ST250 and RS Mk3 in our Head Office located here. Therefore making parts and labour a total cost £247.00 (inc. VAT). 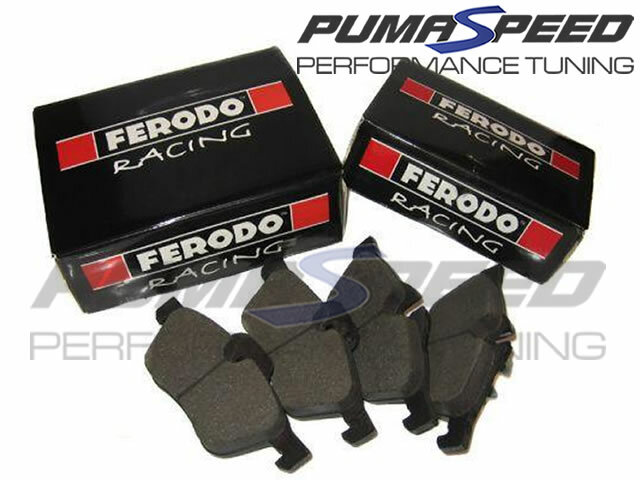 Pumaspeed have a specialist distribution team that can dispatch the Ferodo Racing DS2500 Rear Pad Set - Focus ST250 and RS Mk3 to any destination worldwide.